Depending upon weight of item I usually ship media mail, this takes 2-9 days depending upon your location. If you wish to upgrade let me know before completing order. Return within 7 days of delivery for replacement or refund. I have been an online merchant for a few years and Atomic Mall looked like a great place to visit. If business goes well here I would love to make it my primary home. I specialize in Sci-fi, but may sell anything depending upon what falls into my lap. You can tell by my logo that Doctor Who is my favorite live action series. You can tell by the name of my store that a certain animated series is very important to me. We ship from Philadelphia PA. If there is something that you are looking for ask, maybe I have it. 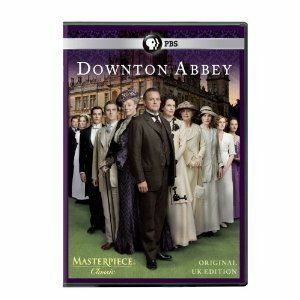 Downton Abbey -- a sprawling, lavish Edwardian mansion nestled in the Yorkshire landscape -- needs an heir. Dame Maggy Smith stars as Violet, the stubborn Dowager Countess of Grantham matriarch of Downton. Hugh Bonneville stars as her son, the stoic, unflapple Lord Crawley. Elizabeth McGovern is his far-sighted American wife, Cora. From Academy Award-winner Julian Fellowes. This is the original un-edited UK version of the program.